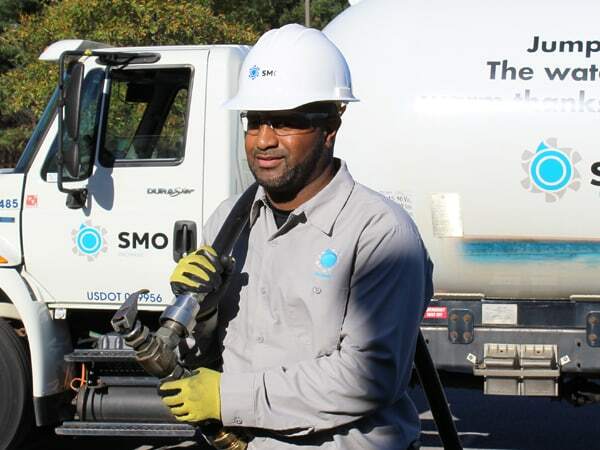 SMO Energy makes using propane gas for your business easy. With an all-inclusive price-per-gallon (no hidden fees), we provide customizable commercial propane programs to meet your budget and keep your business running smoothly. Our commercial propane experts will partner with you to identify the best solutions for your specific business. Whether you are new to propane or are expanding your propane use, our commercial team will help you optimize your fuel efficiency and maximize your cost savings. We work closely with industry experts and are actively involved in associations that support various industries like horticulture and landscaping, restaurants, construction/excavating, and agriculture. Propane is a great alternative to all-electric systems. If you are considering switching to propane from an electric system, you are in the right place. SMO Energy makes this process simple and handles all the conversion work for you. Why Use Commercial Propane for Your Business? Switching to propane from an all-electric system can greatly reduce your annual energy costs. Combine the efficiency of propane with SMO’s flexible payment plans, and your business will see significant savings on your annual energy bills! Propane is non-toxic and won’t harm its surrounding environment in the event of a spill or leak. An odor is added to the gas before being delivered to you, so you can quickly detect leaks or spills. Propane can be used in a variety of ways across almost any industry. It can be used for cooking, heating your building, heating pools, fueling generators, heating greenhouses, and much more. Our commercial propane experts can help you identify all areas of your business that could benefit from using propane. The need for businesses to be environmentally friendly is continuously increasing. Switching to propane, one of the most environmentally-friendly fuel options available, can help you meet this need while reducing your energy costs. Click the button below to talk to one of our expert propane consultants about using propane for your business.